Somnambulant Gamer: So You Bought Pro Skater 5; What Now? So You Bought Pro Skater 5; What Now? Let's face it folks; Tony Hawk Pro Skater 5 is a mess. It's just a terrible game in almost every respect. While the news and numerous reviews have saved numerous would be consumers from buying this piece of garbage, there are still tons of you out there who were roped into pre-ordering it, or were given it as a gift by a well meaning friend or relative. It's hard to believe that something this bad could have carried a $60 price tag, and to help alleviate some of the hurt, we've come up with a few ways to get your money's worth out of it. 1) Trade it: Yeah, it isn't very imaginative, but it sure as hell is practical. If you bought a copy through Gamestop or some other hideous retailer, trading it in for one of many other good games out there wouldn't be a bad idea. I just picked up The Witcher III the other day and have been really pleased with it. If you're into sports, check out FIFA 16, and if you have an XBox One, I'd highly recommend Forza 6. Maybe stay away from pre-ordering anything though. At least for a little while. 2) Make a drinking game: Those with a digital copy are likely out of luck when it comes to returns or trade-ins. Provided you are of appropriate age and have a few friends to join you, drinking away your sorrows can be cathartic. 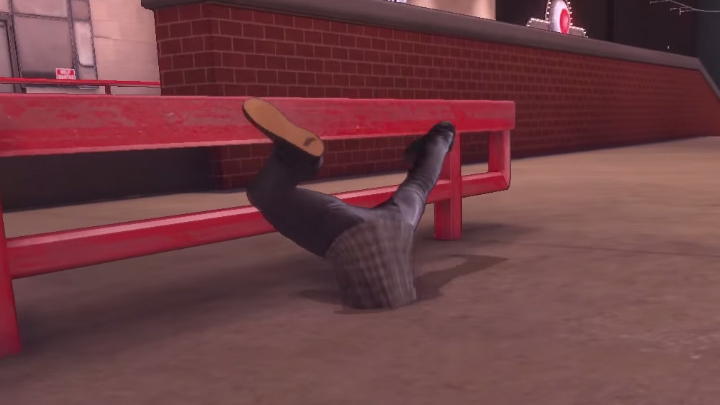 Pick a few of the numerous bugs in Pro Skater 5 and use them as drink markers. Each time you encounter an unrendered object or fall entirely through the map you might take a shot. Don't wager on any of the more common bugs like outright crashes or you may end up with alcohol poisoning. 3) Post your bugs to YouTube: There are plenty of people out there who haven't heard the terrible review, or think that people are overreacting. Make a montage of the chaotic and awful things that make Pro Skater 5 the mess that it is and post it to YouTube or your personal favorite media site. You might not reach a lot of people, but you might be able to keep someone from buying the game. 5) Do a Charity Run: Make something good from something really, really bad. Set aside a day to stream the game through Twitch and have people pledge money for charity. This works a lot like the drinking game; people pledge, say, $1 for each time the game crashes or each time your character drops out of the air mid-trick for no apparent reason. It's bound to be entertaining for everyone, and even if you can dedicate just a few hours of one day, it can still make a really positive difference.